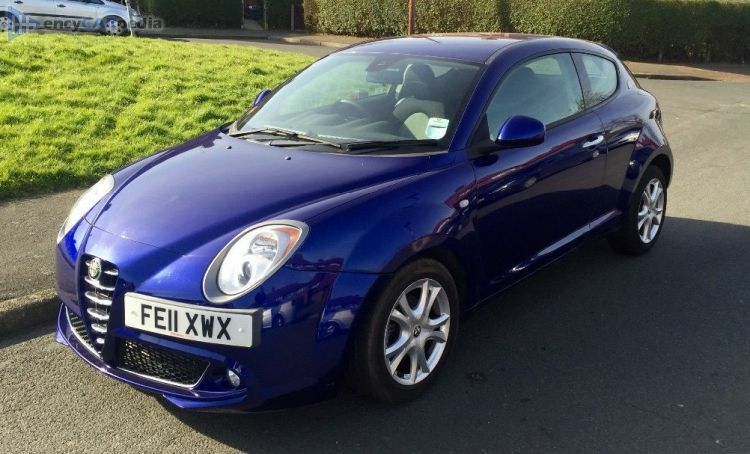 This Alfa Romeo Mito 1.4 TB 16v 135 was produced from 2011 to 2014. It was facelifted in 2014 with the 2014 Alfa Romeo MiTo 1.4 TB 16v MultiAir 140. It's a front-wheel drive front-engined small hatchback with 3 doors & 4-5 seats. With 133 hp, the turbocharged 1.4 Liter 16v Inline 4 gasoline engine accelerates this Mito 1.4 TB 16v 135 to 62 mph in 8.4 seconds and on to a maximum speed of 129 mph. Having a curb weight of 2668 lbs, it achieves 42.0 mpg on average and can travel 498 miles before requiring a refill of its 11.9 gallon capacity fuel tank. It comes with a choice of either a 5 speed manual gearbox or a 6 speed automatic gearbox. Luggage space is 9.5 cubic feet, but can be expanded to 33.5 cubic feet for larger loads.